Your chance to purchase a wonderful property located within a private residence in Portishead. The property benefits from many additional facilities within the grounds and has unspoilt sea views. Viewings to take place from the 18th of April 2019. Call to book your viewing. Black Nore Point is located within the prestigious gated community of Fedden Village. Constructed in 2002 by Redrow Homes the 'Wedmore' design is one of only 8 other properties in what could be considered as the most premier location within Portishead. Rarely available on the open market the home is fantastically situated within close proximity of Black Nore Lighthouse and the coast path meaning the properties outlook is outstanding. Uninterrupted views of the Bristol Channel across to the Welsh coast are the main focal point of this fine residence. 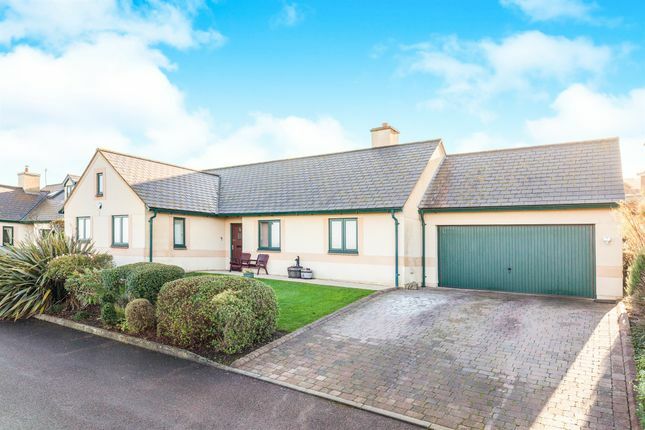 The four bedroom detached bungalow boasts ample living space and versatile accommodation. All principle rooms are light and airy and the property is arranged in a manner that caters for a variety of buyers. Viewing is absolutely essential in order to fully appreciate all that this outstanding home has to offer. Upon entering the property you will find a welcoming hallway with doors to all principle rooms including the four bedrooms and two substantial storage cupboards. The kitchen diner offers views across the estuary and a well-appointed utility room with access to the garden. The spacious lounge boasts dual aspect windows both looking out to the Channel. The dining room / bedroom four is currently used as an office and also allows access to the rear garden via French doors. The home also offers a family bathroom, large cloakroom and a master bedroom serviced with a generous ensuite. Cloakroom comprising a low level WC, pedestal wash hand basin and wall mounted radiator. Two double glazed window to the front of the property. Coal effect basket gas fire, wall mounted radiators, TV and telephone connection point. Part tiled, fitted kitchen comprising wall and base units with work surfaces incorporating a 1 1/2 bowl, stainless steel sink and drainer. Gas oven and hob with cooker hood over, integral fridge/freezer and wall mounted radiator. Two double glazed windows to the front of the property, a third window to the side and a door leading to the utility room. Down lighting. Utility room with wall and base units, space for a washing machine, wall mounted radiator and Vaillant boiler. Door to the garden. Double glazed window to the rear of the property. Fitted wardrobes, wall mounted radiator, TV and telephone connection points. Part tiled en suite comprising a double shower cubicle, pedestal wash hand basin, low level WC, extractor fan, shaver point and wall mounted radiator. Down Lighting. Double glazed window to the rear and side of the property. Fitted wardrobe, wall mounted radiator and TV connection point. Double glazed window to the rear of the property. Fitted wardrobe, wall mounted radiator, TV and telephone connection point. Double glazed patio door to rear garden, wall mounted radiator, TV and telephone connection points. Part tiled bathroom comprising a bath with mixer taps, wash hand basin, extractor fan, shaver point and low level WC. Frosted Double glazed window to the rear of the property. Down lighting. Double garage with electric up and over doors, power and lighting. Double Glazed rear door with access to garden. Formerly the Edwardian National Nautical College, Fedden Village is a prestigious gated community boasting a range of luxurious apartments located just off Nore Road. This tranquil lifestyle is ideal for retirees and young professionals a like offering a peaceful retreat with stunning views over the Bristol Channel towards the Welsh Coast. Fedden Village is situated within 22 acres sharing its border with woodland and grassland, the Bristol Channel and is enclosed by a perimeter fence and hedging. Within the grounds are an outdoor heated swimming pool (from May-October), tennis courts, a helipad, and golf driving net. The grounds also benefit from the uninterrupted views across the Bristol Channel. Viewings are by appointment only with Connells Estate Agents Portishead. As of March 2018 the management charges including ground rent for the whole year were £2,200.00. 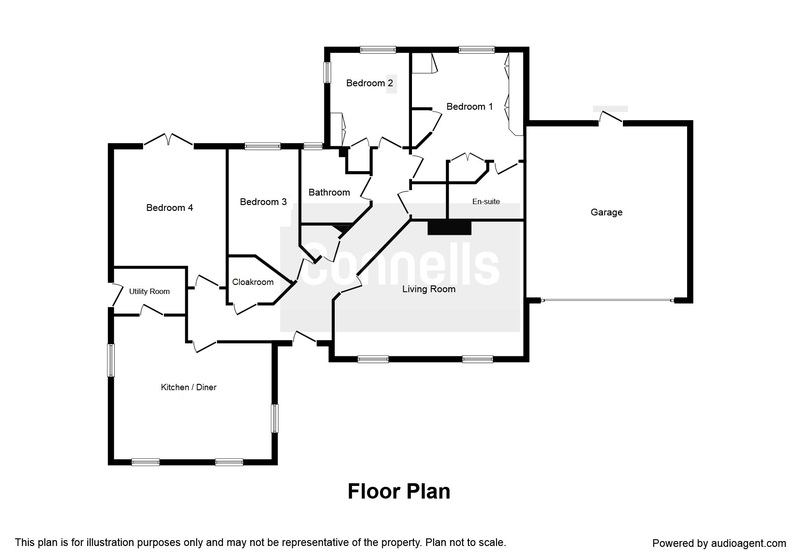 Property descriptions and related information displayed on this page, with the exclusion of Running Costs data, are marketing materials provided by Connells - Portishead, and do not constitute property particulars. Please contact Connells - Portishead for full details and further information. The Running Costs data displayed on this page are provided by PrimeLocation to give an indication of potential running costs based on various data sources. PrimeLocation does not warrant or accept any responsibility for the accuracy or completeness of the property descriptions, related information or Running Costs data provided here.